Our metal braces are made of high-grade stainless steel. The braces, called brackets, are bonded to the front surface of the teeth. A wire is used to gently guide the teeth to the proper location. Colorful or clear elastics are used to keep the wire in place. 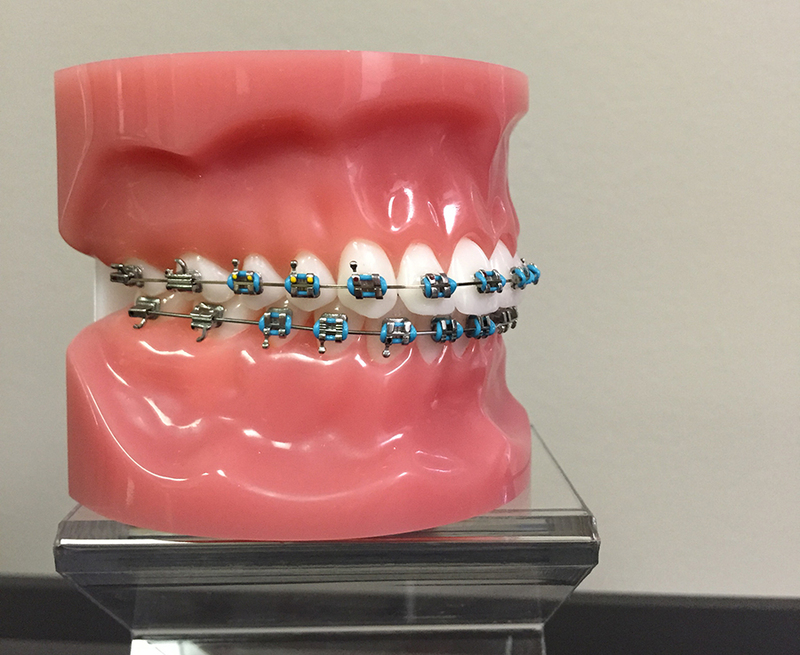 You can change the colors of these elastics at every appointment! 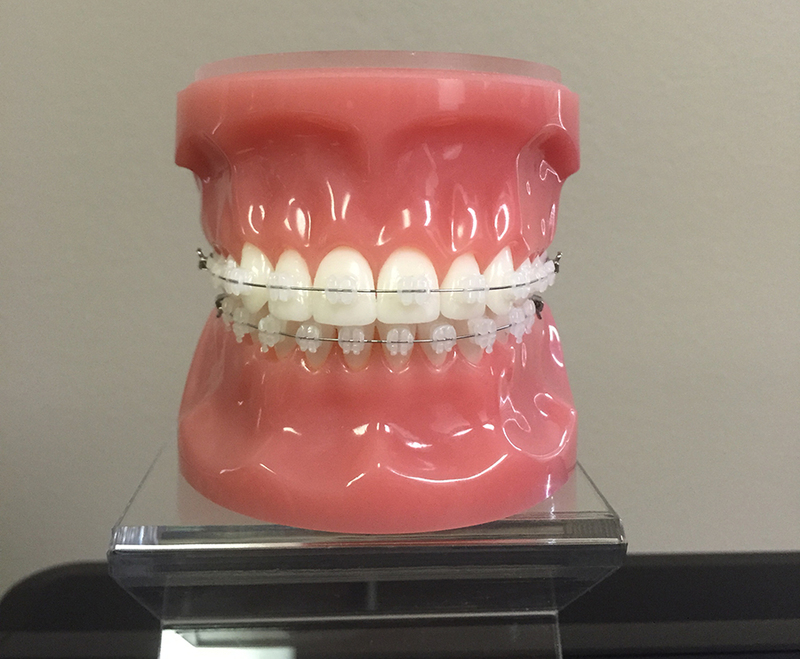 Ceramic braces are clear and are a great option for teens and adults wanting to avoid the look of metal braces. The wires are held in place using a clear elastic tie. Clear aligners are the most discreet way to correct your smile, and are best used to treat mild to moderate orthodontic problems. A series of clear trays are used to gradually align the teeth. The aligners can be removed for eating, drinking hot liquids, and brushing your teeth. 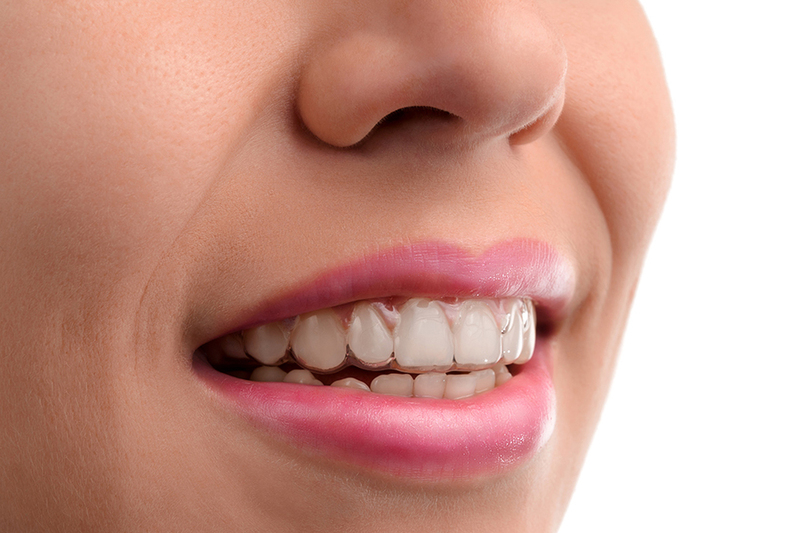 To be effective, the aligners must be worn at least 22 hours each day.